How does the runbritain rankings handicap rating work? Please note that the following entry is entirely my own view on how the runbritain ranking handicap system works. This write-up is by no means gospel – I have simply pieced the thoughts below over a number of years whilst observing my own progress on the system. What is the runbritain rankings handicap? If you’re a runner and geek like me, you’ll no doubt be keen on number crunching the data from your runs and races. “How was my heart rate?” “What was the elevation?” “Why did that mile split differ so much?” These are all questions I have regularly asked myself after races, trying to make sense of results. Taking the number crunching one stage further is runbritain rankings – a website that utilises the data from all UKA eligible races (international races can also appear if the criteria fits). Parkruns are also included in the data as a handy, more regular and consistent source of measurement. runbritain rankings takes things a stage further by applying a weighted algorithm to your performances to give you a performance handicap. This system is similar to that used in golf, both as a measure of a course’s conditions, and also of an athlete’s ability on that course. At the time of writing, my handicap score is 4.4, down from 27.9 when I first started participating in mass events. Racing often will help your handicap, otherwise it can go backwards after a long absence. It is also entirely possible to have a negative handicap score, as some elite and sub-elite runners do because they are so far ahead of the pack. To give the handicap some meaning in the wider world, my score of 5.2 ranks me as 11,382 in the national male leader board and 12,204 in the national mixed leader board. This only ranks me against others with a runbritain handicap; I am sure there must be many more athletes out there without a handicap that would run rings around me. All three of the above are linked and each has an effect on the others to create your overall handicap score. I used to call this section, “Course difficulty on the day”, but now feel “Course conditions on the day” would be a more accurate portrayal of the factor. Course conditions are known as SSS, or Standard Scratch Score borrowed from golf handicaps. It’s a measure of how favourable, or unfavourable, the conditions on a course were for runners. A typical/average value would be 1.0, indicating conditions that were neither of particular help or hindrance to runners; 1.0 is also normally assigned if there were too few with runbritain handicaps to generate an accurate measurement. The highest course difficulty score I’ve ever seen is 6.0 from Pomphrey Hill Parkrun on 07/11/15. High course difficulty scores usually mean inclement weather, or a course that’s dramatically longer than advertised to produce very few strong performances. There appears to be no lower limit, and I have recently seen an SSS as low as -1.8; such a low score can only indicate the course itself was short because the system will have seen far too many with runbritain handicaps achieving high ranking performances. If you did participate in a race that was short, you can contact runbritain to have the event marked as such (and have the erroneous result scrubbed from your records) by providing them with an official communication from the organisers stating the fact. To clarify, the course condition measurement is a number that’s automatically generated by the handicap system; there is no individual that decides it. The measurement is taken directly from those that ran with a runbritain handicap and a course condition score is produced. If more people than expected produce strong performances, then a lower number is given, and if fewer people produce strong performances, then a higher number is given. Because the measurement is automatically generated, it’s therefore not possible to compare one race or course with a completely different one. An average rating of 1.0 on either course will produce totally different performances relative to that course. So long as the course does not change, it is useful as a guide to monitor course conditions year on year for a race. The course condition measurement can be fooled. If there is a big local race the next day, or there was a big race the previous weekend, a Parkrun may appear to have a higher than normal measurement because many will be taking it easy. Flipped around, if a Parkrun lays on a pacer day, more people than usual may produce strong performances to drive the course condition measurement down despite what the actual conditions may have been. This is where it starts to get interesting and I will use Parkrun again as an example to illustrate the point. If you run your home course often enough, you should have a good idea of what your ability is, and the finishing time you are likely to produce on any given day. Your performance is called VSSS, or Versus Standard Scratch Score. This is your measurement of how you fared on the course, with a positive number indicating you did worse than your expected course standard on that day, and a negative number meaning you did better than your expected course standard. A competitive athlete should usually try and aim for at least a 0.0 performance or lower, going into negative figures. runbritain rankings will use your 5 most recent best performances (not necessarily times – this is important to remember) to produce your handicap score. Because the system uses your most recent 5 best performances, it knows when you’re taking it easy on a run compared to a performance from 12 months ago when you may have produced the same time, but went all out. I have two performances that stick out like a sore thumb with unusually high VSSS scores (6.5 and 7.9); one I treated as a gentle warm-up run the day before a major half marathon and the other had me serve as a pacer for other runners. This is the final piece of the trio; the performances of others will also affect your VSSS handicap scoring at an event and also the SSS course condition score. Let’s take two scenarios to produce two results at both extremes. Imagine the day is perfect for running at your local Parkrun or race. You are in the best shape of your life and are ready to run an almighty PB. Unfortunately, a visiting running club are also present, using the course for some sort of internal club competition where their runners are also in great PB shape. Most other regular runners that day also happen to be in PB shape, so whatever result you produce that day will have a weaker (more positive) VSSS score and the event will be rated with a lower (easier) SSS course condition score. Now, imagine the course is in its worst possible shape with deep snow. All the participants are also wiped out after intense training and nobody is capable of a PB except you and a few others. The event would score a 5.0 for course condition and most other runners receive poor VSSS scores in return. You, however, managed to PB and have been given a strong (more negative) VSSS score based on your performance relative to everybody else. This element of the algorithm is the most frustrating for people and I have lost count of the number of times I have run a strong PB, only for the system to decide otherwise. Cunning runners that are looking to maximise the handicap from their results could turn up to a Parkrun the day before a major race, when everybody else is likely to be tapering and taking it easy. This appears to only work if there are enough participants that are also enrolled via runbritain rankings – without enough data, the system tends to just rank a race with 1.0 for average course conditions. This can be a problem, especially if you produce a good result on a course that otherwise had difficult conditions, but was ranked down to 1.0 due to there being too few handicaps for the system to measure and compare against. 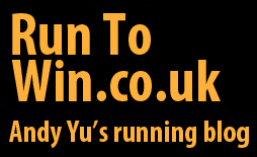 How are these three runbritain ranking elements linked? We don’t have much more left, I promise! As you can see from the above, all three elements have a direct and indirect impact on the SSS course condition score and your own VSSS performance score for any given event, whether you like it or not. Up to a certain point in the system, you are entirely in control of your own handicap result, and this is why so many runners are annoyed with the algorithm when it harshly judges a good performance. It’s that small bit at the end which is the system deeming a result worthy or not; this is why it’s important to think of the system as ranking a performance, and not necessarily just a finish time. Runners that have taken up running only recently will almost certainly see their handicap improve at an alarming rate, irrespective of the course conditions or the actions of others. Seasoned runners will more often be at the mercy of how others fare at an event once their handicap score has matured and their own ability begins to level off. The first major local race after winter will typically produce good results, due to a prolonged period of training throughout the colder months without many races to benchmark a runner’s new found ability. The performance jump from yours and everybody else’s last A-race in the autumn will likely be quite big as a result, leading to an exaggerated SSS course condition score (easier/more favourable than expected). In turn, you’re given a reduced VSSS handicap score for your performance that will probably be worse than expected despite a strong PB. Parkruns that take place at unusual times of the year, such as the day before a major race, Christmas Day, or New Year’s Day, can produce favourable handicap scores in spite of you not running a particularly strong performance. Most runners will probably not be running to the best of their ability, which means any good performance you produce will likely receive a boost. This happened to me at the end of 2014 when aiming for a PB on Christmas Day and when only running a so-so performance on New Year’s Day. The system itself is imperfect and as pointed out, has a tendency to either over or under-reward (the latter especially). On balance, this probably does average out for each individual over time but I can appreciate how annoying it must be to have the race of your life, only for the algorithm to give you next to nothing in return. The handicap score is largely comparable from runner to runner; a runner with a lower handicap score is likely to be the stronger of the two. It is, however, also worth bearing in mind that a runner that is less talented, but races more often, can have the better handicap due to more attempts at good performances. It’s always worth verifying with actual PBs. Certain events will be more likely to produce favourable handicap scores due to their frequency; you are far more likely to be competitive at Parkrun, 5k and 10k races which will be run with more regularity versus the half marathon or marathon, which you may only have a handful of attempts at per year and not necessarily run at your absolute best. I hope this write-up has proven useful. I remind you once again that these are just the thoughts of a running enthusiast and are in no way authoritative. UPDATE – runbritain has finally written a very brief official FAQ, which kind of covers how the handicap algorithm works amongst other things. The system is largely as I thought it would be when I originally wrote this piece. Click here to read it. This entry was posted in Miscellaneous and tagged data, Parkrun, races, rankings, RunBritain, RunBritain Rankings, UKA. Bookmark the permalink. You’re very welcome! Glad it’s been of use! Excellent piece. Very clear thanks. Thanks! Appreciate the feedback and glad it was of use! Can you use SSS as some kind of factor to work out what you would have got given perfect (SSS=0) conditions? The problem with SSS is it’s not 100% certain how the course difficulty is determined. I have reasonable belief that it is related to the performances of the runners that dictates what score is given. Also remember, the handicap is based on performance relative to yourself and others, rather than on attaining a particular finish time. OK, but tbh handicap doesn’t worry me that much. I was trying to get sub-36 at a 10k on Sunday but it was windy so got 36:23. the SSS was 0.9 so could you find your potential for example by (1-(SSS÷100))x actual because that would give what I was expecting. If not, is it just arbitrary? I see what you mean now. I think it is just an arbitrary number to be honest where they have to give some sort of difficulty ranking. You’re welcome, Mark. Glad you found it useful! I didn’t understand this at all, until now! Thanks for the clear explanation, this gives me something else to work towards! You’re welcome – glad it was of use! Nice work. I too am obsessed by stats / the Run Britain rankings and this gives some useful food for thought.